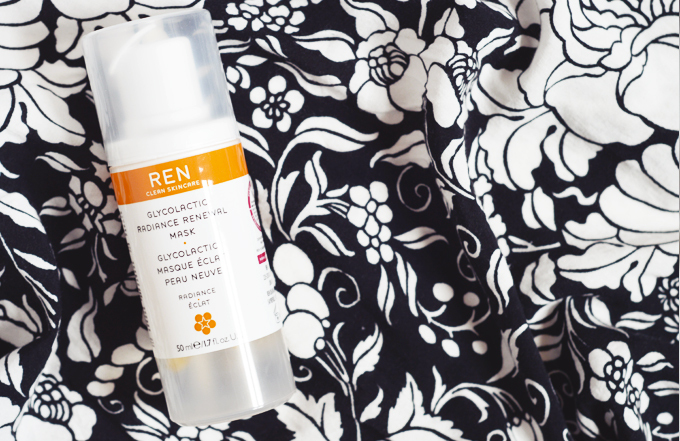 After being stuck in a basket in a drawer for a few good months now... and most definitely past it's use by date (though still smelling fine and working just as well I would assume) I thought I would write up a little re-review of my REN Glycolactic Radiance Renewal Mask. I reviewed this so long ago now that I don't remember what I wrote (yes, I really am too lazy to go and hunt it down at this moment in time - it's been a long day) but I know that it was as glowing as this mask is meant to make my skin. 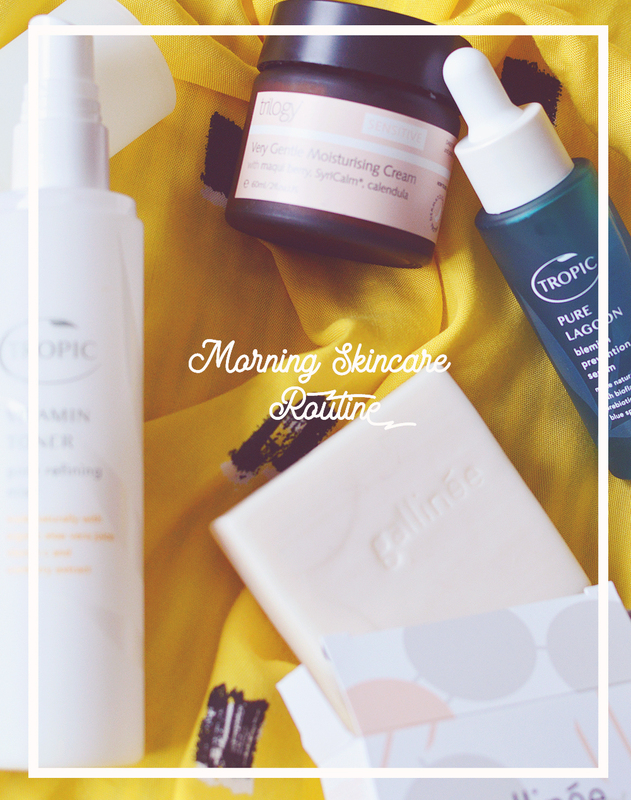 As bloggers we have a tendency to use and review so many beauty products that it gets a little overwhelming. The next big thing is always pushing it's way onto our dressing tables and pushing the old into drawers to gather dust... no matter how much we claimed to love them in said glowing reviews. It's inevitable... we're fickle. I was much that way with this REN offering, proclaiming my love for a little while before it got used less and less... until one day I stuffed it out of sight. However there was also another reason besides an expanding collection that this got pushed aside, I had a reaction. At the time I hadn't fully switched to green beauty and I used an infamous exfoliating toner pretty much everyday, someone fooled me into thinking it was the best thing since sliced bread and would cure every skin problem I'd ever had (wrong but we'll save that for another day). I then went ahead and used my REN mask after quite some time without use and my skin imploded. After only a minute or so the mask started to sting a lot which then developed into a burning pretty quickly and I couldn't wash my face quick enough. A red, bumpy, blotchy mess was waiting for me afterwards and my skin was sore for days. It was just too much. I tried again a month or two later and the same happened again though not quite as bad, but enough for me to put it away for a very long time, I couldn't bare to throw it away "just incase" but I know now that acid treatments as powerful as this are not for me these days and I much prefer the gentle masks I mentioned in this post (if only REN hadn't discontinued their F10 Smooth & Renew mask.. as that was fab). Have you ever fallen out of love with a beauty product? Ahh! Same for me -- I purchased this mask twice. On my first bottle, I loved it, but 3 months past its PAO date I still had half of the product left and it definitely smelled a little strange, the texture was different. I chucked it and bought a new one really fast, ignoring the significantly high price because 'it worked so well' and telling myself I should use it more regularly so I don't end up wasting product like I did with the first bottle. I don't know if my skin became more sensitive in the meantime (though I don't see any reason why), but every pump out of that second bottle has stung my face. It never burned, but it definitely felt uncomfortable and not in any way comforting. So yes, three uses in, this REN mask has been pushed to the back of my shelves and I don't feel like taking it out anytime soon. I also much prefer gentler treatments now. it could have been a flush due to niacinamide in that toner which should not be combined with the ren mask. Experienced it once with a different product- my boyfriend wanted me to go hospital, because my face was so red. It also could be that your skin hat the wrong ph-level due to that cleanser. be careful when combining different acid-containing products. I love this mask a lot, which I'm still surprised about because usually my skin is the fussiest. There have definitely been more than a few products that I've fallen out of love with and a few that I've fallen back in love with all over again! Ouch, that's awful! I bought the Ren AHA serum after reading rave reviews and initially it worked for me but over time I stopped seeing the benefits and my skin felt thin, weak, and became prone to tiny spots. I didn't even use it daily! Of course I've since stopped using it and will not try any more AHA serums in the future. I bought this product after reading so many lovely things about and how it worked wonders, unfortunately for me it never worked, no glowing skin etc. I'm sorry to hear you had a reaction to it, I did have that tingly sensation when I put it on but I though that was normal.